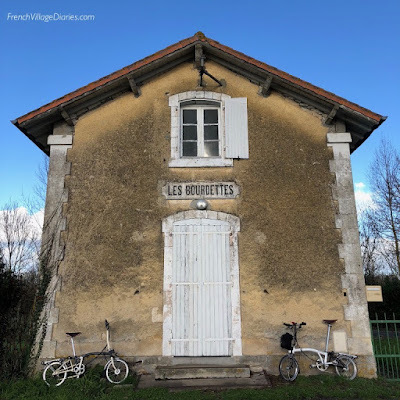 Welcome to my first Lazy Sunday in France post for 2019. I still enjoy lazy days in France, but this year I have set myself a not-so-lazy challenge; to cycle 2019kms on Katie The Tiny Tourer, my new Brompton bicycle. Our Brompton journey started with a practical commuting bike for Adrian when in the UK, but quickly became so much more. As well as commuting, he took ‘Delilah’ for coffee (and posted pics), he took her out at weekends (and posted pics) and he even shared hotel rooms with her (and sadly shared these pics too). I can’t say I blame him, as having hired a Brompton in UK over Christmas 2017, it was fun, comfortable and a bit quirky, just like me. While I am not the jealous sort, the time had come for me to have my own slice of the Brompton action. 1) The Brompton is small and compact, a little like me, so it is a good fit for my small frame. 2) It is a comfortable ride, especially with the Brooks leather saddle, and despite the small wheels, the gearing and geometry is so good it isn’t more effort than the road bike with its big wheels and long stretch to the handlebars. 3) The design. I may not be stylish, but I do like a well-designed object (which it is) and I also love the quirky, individuality you get with a Brompton. On a recent club ride in UK, with around 30 others, no two bikes were the same. 4) Although an ideal commuting bike, the great luggage options mean the Brompton is good for cycle touring too. We have rear racks and front mounts, and bags of various sizes, giving us options for full tours as well as days out with a picnic. 5) They certainly turn heads, especially when you are out with more than one, so we’ve already had plenty of admiring glances here in France. Do you choose your Brompton or does your Brompton choose you? 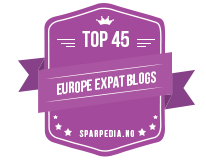 Initially, I thought I was heading to the UK for Christmas, and to meet ‘Daisy’, a white Brompton S6R that Adrian had bought second hand in October. She wasn’t a surprise, but the two day break he planned for us between Christmas and New Year, certainly was. Day one saw us touring the Regents Canal from West London to the Thames at Limehouse, before overnighting in Greenwich, then following the Thames path back west, covering 90kms in total. 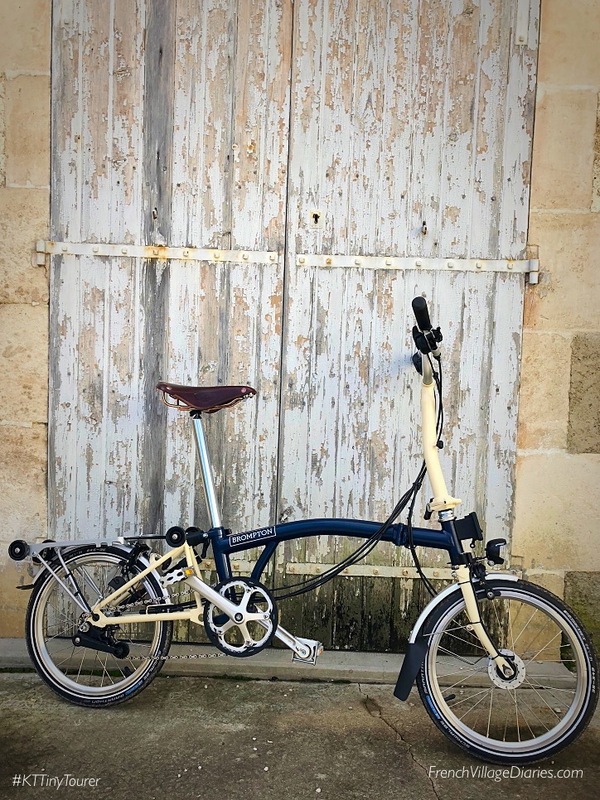 We had a blast; the weather was great and being out on the bikes together was bliss, but although Adrian gets on well with the flat, sporty S type handlebars, for me the more traditional M type (that I had on my hired Brompton in 2017) was more comfortable. Which is where ‘Katie the Tiny Tourer’ came in. Sitting on a shelf in a west London bike shop, our paths mysteriously crossed on day one of our London adventure. Fate definitely had a hand as she was a perfect, stylish colour combination, had the M type handlebars I knew I needed, a Brooks leather saddle and to top it off, a promotional price tag. In a moment of madness, we paid for her, carried on to Greenwich as planned and then returned to collect her the following day. 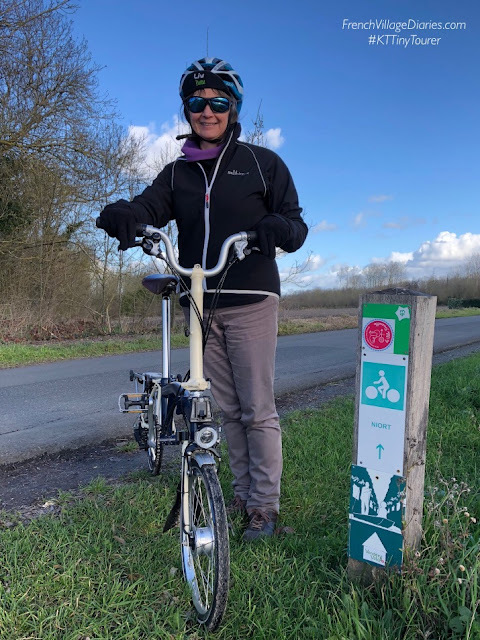 Adrian will continue to commute with Delilah in the UK but now also has Daisy to use when we are cycling together in France. 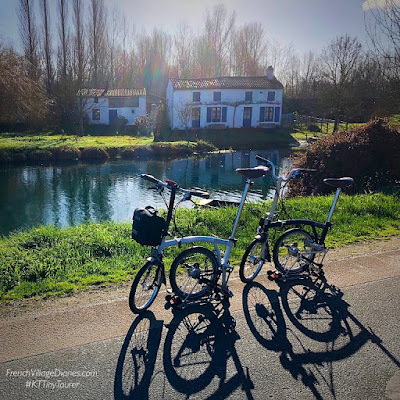 This opens up the possibility for Brompton touring over here, especially as both Daisy and Katie have the additional luggage racks fitted, and Daisy came with a set of front and rear luggage. Everything seemed to be fitting into place perfectly, however, Daisy wasn’t very happy with Katie’s arrival. Having cycled over 3000kms in a year on Delilah and suffered no punctures, Adrian has now had to deal with 3 Daisy punctures in quick succession. Then we then stumbled across this blog post here; a fun looks at what your choice of Brompton colour says about you, that I found to be spookily accurate. It would seem that Daisy and I were never meant to be together, as a white Brompton is for clean, neat people who are meticulous in their appearance and personality. I may strive for an orderly and uncluttered lifestyle, but it’s never going to happen. Katie is part Ivory, for honest and trustworthy people, who are good listeners, and part Tempest Blue for those of us with deep and brooding thoughts who spend a lot of time within our own minds. Well, what can I say except sometimes being inside my head is not the best place to be, but I do hope I am a good friend to those who need one. 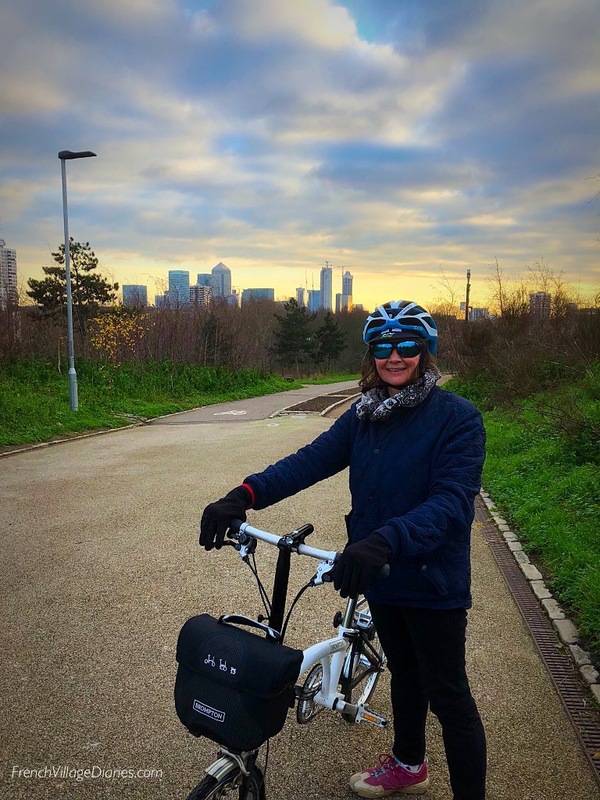 There is nothing quite like a good bike ride to clear your head and calm your mind, and with 2019 being the year of the Brexit, I know that this year I will need cycling to be my head-clearing focus. This led to the crazy idea of cycling 2019kms in 2019, which is quite a jump from the 700kms I cycled last year, gulp. 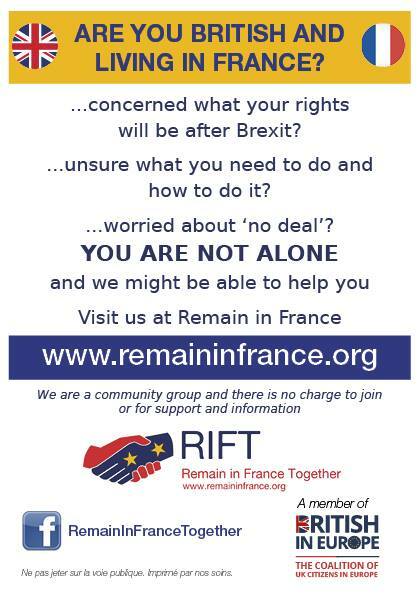 While we would love to set off touring once more, a lot will depend on what happens in the murky world of politics, as planning anything with the uncertainty we are living with isn’t easy. To meet my target, being more bike focussed is certainly the way forward: if the weather is good – get out for a quick blast on the bike, if we need a few bits from the shops – take the bike. One day back in France, however, and my great plan of fitness for 2019 was in jeopardy. Dodging the patchy fog, we took the bikes out to test my quick and easy 6kms village loop. Planned to ensure I’m never too far from home when cycling without Adrian, keeping to tarmac surfaces, rather than gravel paths, and easy to complete within 20 mins, I was hoping to do it at least five times a week. I just hadn’t planned on the mud. Every surface in and around the village is used by farmers in tractors as they drive from one field to another. The mud flicked up from the wheels onto the frame, blocked the gap between the tyre and the mud guards and splattered itself everywhere. Adrian doesn’t do muddy bikes, in fact he has far more lotions and sprays, plus applicators, cloths and buffing rags for bike cleaning than he does for personal care. He says if I’m out by myself I’ll need to learn to clean the mud from Katie’s delicate areas, to prevent damage and rust. Eek, I thought he’d have realised by now, after more than 20 years of marriage, a cleaning fairy I am not. Luckily by stretching my legs just a little further, we now have an 18kms route, where I’m never more than 10kms from home, that can be done within an hour and is on much clearer roads. 18kms twice a week, for 52 weeks, sees me well on the way to my 2019kms cycling challenge. With a few kms under my belt before we even returned to France and a fair effort since getting home, I am delighted to report that I have already cycled 166kms, so only another 1853kms to go. This increased off-season cycling is already working its magic and I’m feeling much better than I usually would in January. This has resulted in the house having had a good clean, clear out and reorganise; so onwards and upwards Katie, together you and I can conquer anything.